Christmas is almost here! And every day I’m getting the house a little more decked, a little more cozy. I think this year I might need to leave my decorations up even longer than normal, it’s taken me so long to put them up! This time of year is always busy for me as a musician. I sing with the Cleveland Orchestra Chorus and Christmas is the season packed with the most concerts. And this year I’ve been doubly busy as you all know that my friend opened a store in Little Italy, Moonstruck CLE, and I’ve been helping her set up and contribute some products from psbonjour. Oh and I work a day job and host a few parties over the season. But I’m guessing all of you have as many or more things going on in your lives and can relate. So when we get our houses in order, the tree trimmed, the fireplace decorated … the feeling of comfort and peace can finally settle in. And we feel prepared to invite in friends and family to share the blessings of the season. I didn’t get as much done as I wanted but guess what – this year it’s just right! So come on in, have a seat – can I make you a cup of hot cocoa or coffee? 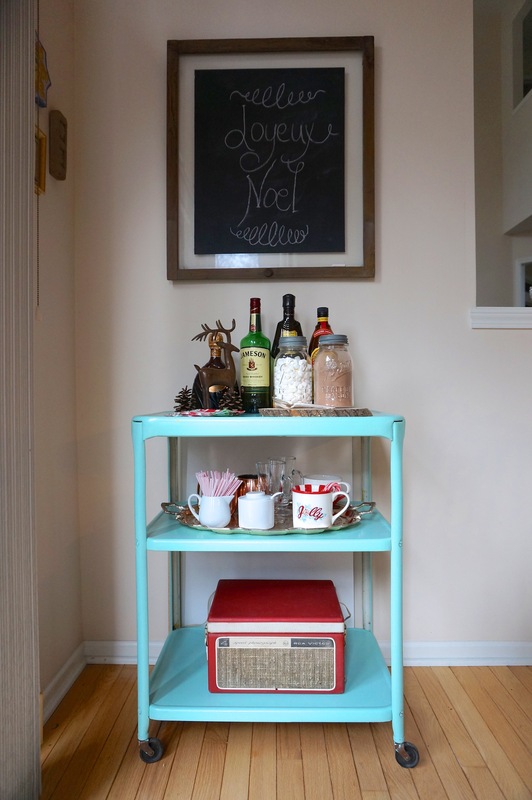 I purchased this sweet minty bar cart from a fun vendor at the Cleveland Flea – somethingtobefound – check out her blog! I’m a sucker for hot cocoa drinks this time of year. Or maybe a little Irish coffee. 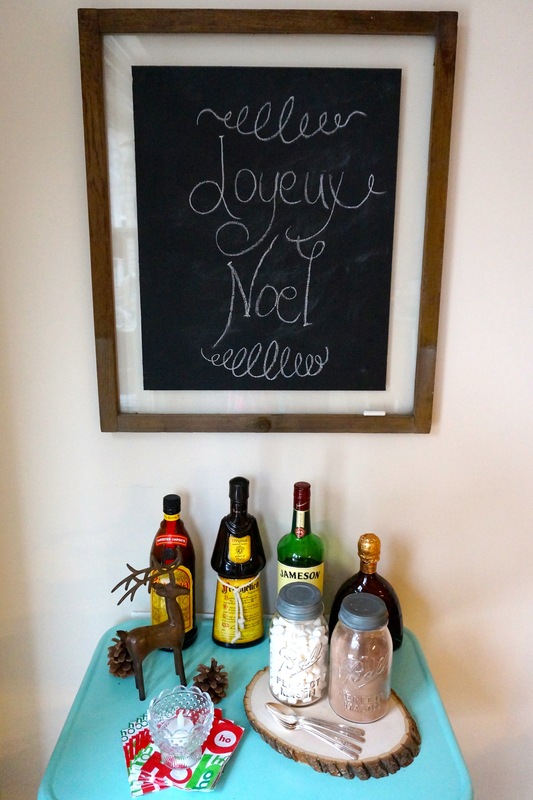 Or maybe a nip of Frangelico or Bailey’s in the hot cocoa or coffee! 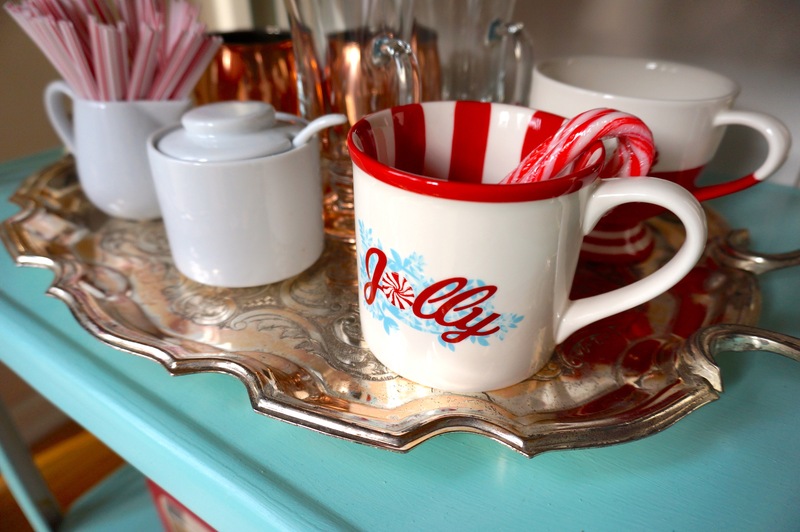 And of course the bar cart needs the right cups and accessories! 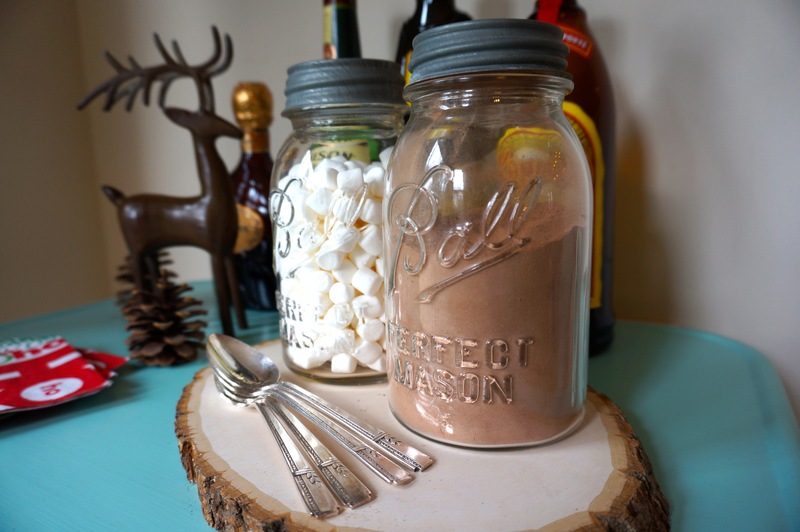 A lovely copper mug for Moscow Mules in the summer can be just as lovely for a steaming cup of cocoa in the winter. A Ho Ho Ho or Jolly mug always replaces my pumpkin mugs this time of year. But no drink sipping is complete without a little musical entertainment. 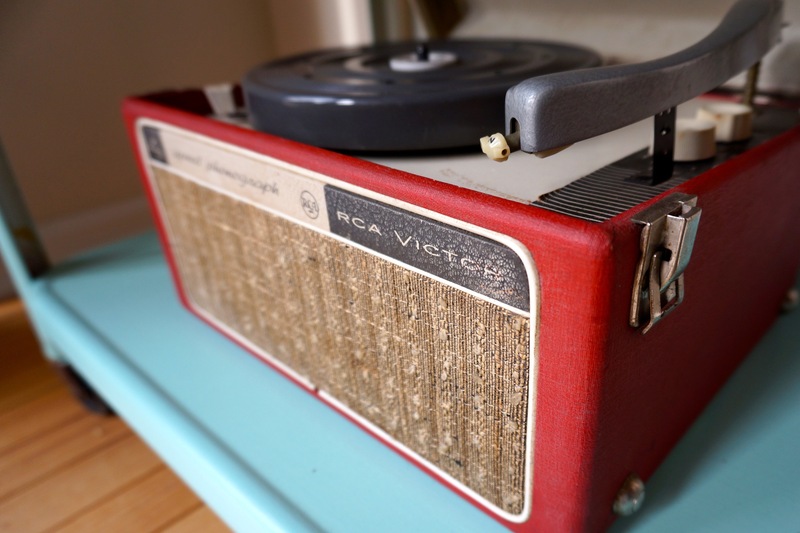 So the ‘ol RCA Victor needs to be a part of the mix and spin some holiday 45’s, don’t you think?! So let’s get a little Frank or Dean on the turntable, put some milk on the stove, and get this party started!